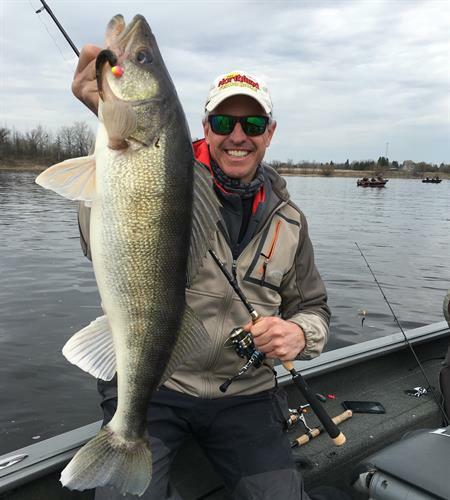 Chip Leer is a 2019 Inductee into the Freshwater Fishing Hall of Fame, TV and stage host of the world's most prestigious walleye tournament circuit, the National Walleye Tour which airs to over 130 Million Households worldwide as well as the angler driving the popular digital fishing information portal, Fishing the Wildside. Chip Leer is a passionate and respected multi-species angler. Kev Jackson Host and Producer of "Fishing Paul Bunyan Country"
6:50 PM Chip Leer "Catching More Walleyes"
The Expo Team includes representatives from the Hubbard County Coalition of Lake Associations (HC COLA), MN Department of Natural Resources, Riverside United Methodist Church, and Hubbard County Environmental Services.